It has been a great honor to receive kind consent of H.E. Fidel Valdez Ramos, Former President of the Republic of Philippines; Chairman, Ramos Peace and Development Foundation (RPDEV) and the Boao Forum for Asia (BFA) regarding the publication of this excellent article on leadership, “For the World’s Youth: Self-Mastery is the Essence of Leadership” which rightly connects with our motto “Where Leaders are Created”. A leader has to work harder than others to achieve the objectives. I would like to remind our respected readers that this article is a reflection of Ramos’s vision and lifelong learning and experience on leadership as he said that leadership is no leadership at all when it depends for its success on human frailty, rather leadership should be guided by the Almighty who favors those who perform as they pray, and pray as they perform. I feel honored to inform you that our upcoming issue of AJBE in August 2006 is going to include Mr. Ramos’s speech which will be delivered in the 6th AIUB Convocation to be held on 5th February 2006. Private Universities in Bangladesh are playing a key role for developing human resources to face the global competitiveness. In this circumstances ensuring quality education is a salient thrive to sustain the race of competitiveness. Total Quality Management (TQM) & benchmarking is a comprehensive & much more deeply encompassing concept that can help universities become more effective to achieve the goals. This research starts with development of a model which involves identifying the secondary customer requirements (the employer expectations to the graduates ) & primary customer requirements, use of Quality Function Deployment (QFD) tool to design the entire process to fulfill the requirements with minimum cost, design of admission test system to get better intake, use of continuous improvements tool like control charts to assess and improve the education system continuously, use ANOVA for improvement status check, unbiased faculty selection with Analytical Hierarchy Process(AHP), effective feed back system from the customer to re-design the process and also re-design the system according to the steps taken from benchmarking procedure. This article portrays the features and prospects of crocodile farming in Bangladesh. The article also depicts the present international market scenario and opportunities of exporting crocodile shin from Bangladesh. Moreover in this article some recommendations have been made to undertake specific production and marketing strategies to turn the crocodile farming ventures as one of the lucrative export earning sectors of the country. There is a widespread public perception that the provision of NAS undermines auditor independence. In order to protect auditor independence, the regulatory frameworks of many countries include regulations and guidelines which auditors are required to observe. This paper provides a comparative analysis of selected regulatory frameworks. It is clear from the analysis that the provision of NAS can threaten both independence of mind and appearance. There are some NAS for which no safeguard seem to be adequate and which are therefore subject to prohibition. On the other hand, for some non-audit services the threats are not so clear-cut, and auditors are then required to apply professional judgment so that the seriousness of the threats is balanced against the effectiveness of specified safeguards. This paper analyses how SMEs and more specifically Professional Service Firm (PSF) SMEs, face the growth barriers that arise when the managerial roles in the firm need to change. Growth within PSFs requiring the mass production of specialist service will change the nature and shape of the organisation and increase the requirement for ‘managerial’ processes to exist within the so-called middle line. The very existence of management, in a professional context, can be the source of organisational tension as professionals tend to regard themselves as self-regulating individual government by the standards and codes of practice established by their own professional body. The natural resistance to external managerial influences, and a desire to progress, both professionally and financially, will mean the firm has to ‘strike’ a delicate balance between the desires of its professionals for advancement, and its own organisational objectives which will, inevitably, require the creation of congruent environments. The Purpose of the Paper is to look at the growth issues typically facing entrepreneurial start-up and small firms. Accountants and finance managers can use different ways to influence the reported accounting results of their organizations. In the context of earnings management, such influence is directed to change the amount of reported earnings. 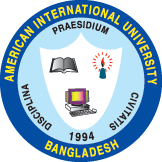 The purpose of this study is to present the results of a survey of BBA & MBA students of Independent University, Bangladesh (IUB), North South University (NSU) and World University of Bangladesh (WUB) as well as the practicing accountants (of Bangladesh) regarding their attitudes towards the ethical acceptability of earnings management. Analysis of the survey results reveals how the attitudes of the three groups differ and what variables are associated with these differences. Based on the analysis, we recommend some changes in the curricula of accounting and finance education as well as in ethics awareness programs in business which might increase students' and accounting practitioners' as well as finance managers’ sensitivity to the ethical ramifications of earnings management.